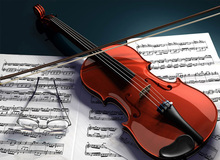 In the previous article you saw how to create an interesting harmonization and, at the same time, develop clear bass and harmonic lines by simply inverting chords. But it isn't enough just to invert the chords, you can also play with their structure to open them! To really understand what happened in the previous installment, you need to go back to the notion of inversion mentioned in article 4 of this series. Back then we discussed the different types of inversions there are, as well as the effects they have when you listen to them. But today we'll see that not only can chords be in the root or an inverted position, they can also be in close or open position. 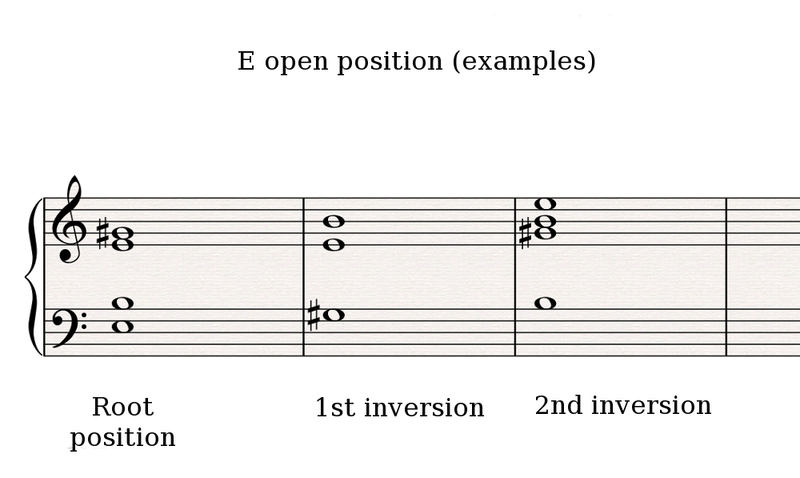 A chord is in open position when it is in the root position or any of its inversions without any additional modifications. In the following example E major is always in close position, regardless of its inversion. 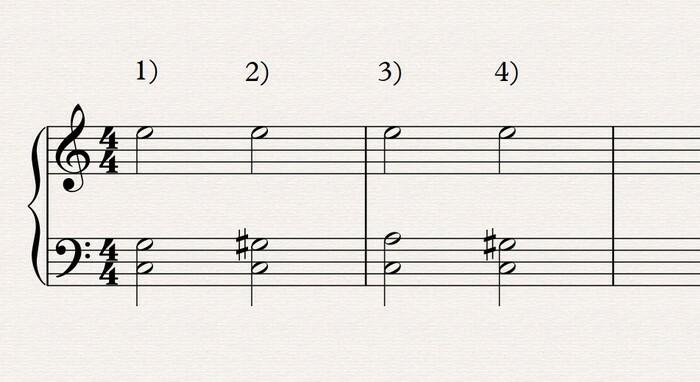 A chord is in open position when the notes above the bass note don't follow the usual order. But they can still be in root position or be inverted, depending on the bass note used. As you can see, an open position can lead to certain notes being repeated twice or even more times, especially in orchestra scores! You need to be careful when you open chords! As you've seen in the previous articles, the motions between chords and the notes that constitute them respond to very precise rules. However, the rules you've seen so far are not the only ones that ought to be heeded. When harmonizing you should consider the pitch of the different voices: you can't do the same with the highs as with the lows! Hence, you should try to avoid as much as possible thirds or fourths more than an octave and a half below middle C of a piano (the famous C3 in digital workstations), or you might end up with a mush of mids and low-mids; you will need to play an inversion. 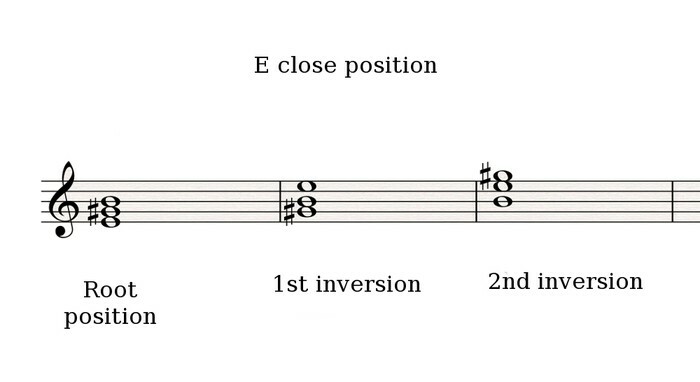 It is actually not recommended to play an interval smaller than a perfect fifth below this point. Second intervals sound best above C4 but they can also be used around C3 if you are cautious. You will find them mainly in chord inversions of more than four sounds (seventh or enriched chords) like the ones we saw in article 14. See you next time to continue discussing voicings!